2. You will also need some petal ties and fabric strips for each layer. The strips should overlap about 1" and have enough room to be hemmed- about 1/2". 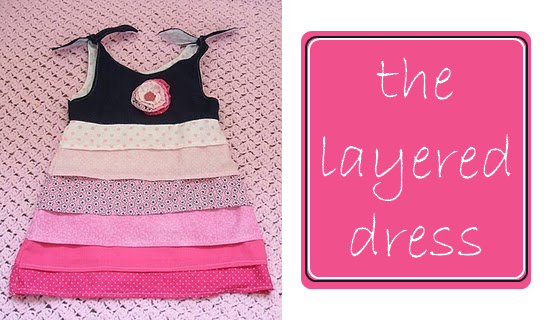 Lay each strip out on the skirt lining and cut to fit, layering as you go. The bodice and ties are lined, so you need 2 fronts, 2 backs, & 8 ties. 5. With right sides together sew the bodice front to the bodice back along the side seams. The 2 linings will match up and the 2 outer pieces will match up. 8. Slip the bodice over the skirt with right sides together. Sew the bodice to the skirt leaving the lining free. 9. Tuck the skirt seams up inside the lining and fold the lining edge inwards. Hand stitch down or top stitch from the other side (**sorry- no picture for this step).